SYNOPSIS: Surprisingly effective and certainly overlooked horror / suspense from 1971. The original vhs release had cover art that was pretty bad so most fans probably avoided this one. But it's worth another look. 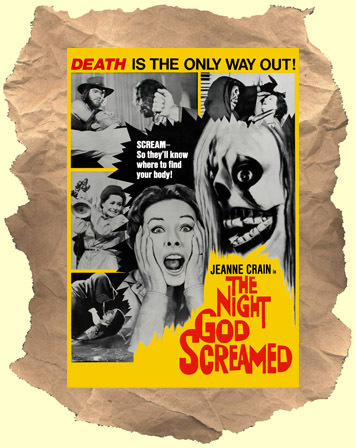 A woman (Jeanne Craig) is witness to a murder by a cult of Jesus freaks. After her testimony sends them to jail the cult's Christ / Manson-like leader warns that he will get revenge. One night while babysitting a group of hooded figures menace her and the kids. Low on gore but high on atmosphere and overall creepiness. Recommended.